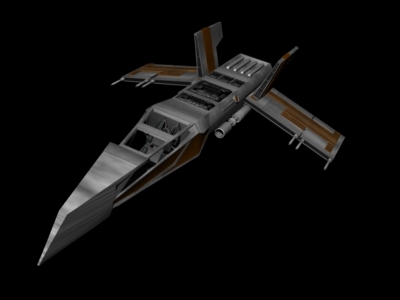 Manufactured by the Corellian Engineering Corporation in the decades proceeding the Battle of Naboo, the HWK-290 was a concentrated effort by talented shipwrights at breaking into a new market. Focusing on making the new design appeal to the wealthy and high society, the HWK-290 was an attempt at capturing business outside of its normal audiences. Major marketing research was conducted on the demographic segment CEC sought to capitalize upon. As such, they designed the ship to appeal to entrepreneurs and wealthy merchants. One concern of the individuals questioned during the research phase was that the current designs of the time were often delayed at checkpoints and customs stations because they were armed; it was thought that the time it took goods to be delivered could possibly be reduced by removing the armaments of the ships. Additionally the majority of those interviewed said that the ideal ship would not only be fast but aesthetically pleasing as well, unlike most freighters, which are bulky in appearance. The research provoked a design totally independent of the iconic YT-series freighters, which tended to be associated with the less savoury elements of society. The HWK-290 prototype had the appearance of a large bird of prey and when displayed at trade shows and conventions brought about many questions as to the availability of the ship. Designers also listened to initial feedback regarding the ship and made minor modifications to the interior until it was determined that the right balance of aesthetics and functionality were achieved. At that point, production began in earnest. When the HWK-290 rolled off the production line, it was an unarmed, extremely fast, agile ship that could outmaneuver and outrun most fighters and had largest weight capacity for carrying cargo of any freighter up to 30 meters long. It also contained an impressive state of the art sensor array for a ship of its size and class, the purpose of which was to detect trouble before falling victim to it. Additionally, it was a lot more luxurious inside than normal freighters, boasting large passenger and sleeping areas, entertainment consoles and a cockpit that was designed with the comfort of the pilot and co-pilot in mind. While only seeing relatively moderate success in contrast to that of the YT series, production of the HWK-290 was discontinued during the Clone Wars in favor of military production. Despite no longer being manufactured, the HWK-290 has found popularity in the inventories of smugglers and pirate groups, a far cry from the original clientele for whom it was initially designed.